Grab your current read. Let the book fall open to a random page. Share (2) “teaser” sentences from that page. Share the title & author of the book that you’re getting your “teaser” from so that other TT participants can add the book to their TBR list if they like your teaser. Please avoid spoilers! The glass-walled room grandly overlooked the main operations area of the Anomaly Research Centre, and a combined murmur of human voices and electronic noise rose from the consoles and workstations below her. The Oxford Street incident had been the most public yet, and a lot of very clever people with extremely high national security clearances were going to be working long into the night tidying it up. I’m looking forward to reading your teasers! Yes, time travelling dinosaurs, taken from the series, "Primeval", although this is a brand new original never-seen-on-TV “Primeval” adventure! This sound good to me and I don't read much paranormal! Thanks for visting my blog!! Thanks for stopping by my blog and commenting as well. Your blog here looks very interesting and I am looking forward to take a look around. Thanks for commenting, Bonnie. I haven't read it yet, but soon will do. Thanks for commenting Louise, and you are welcome. Interesting teaser. Can’t wait to hear what you think. Here’s one tease and my other teaser. That's an interesting teaser and by the sounds of your comment a very different book. Thanks for sharing! I just figured this out the second time around. 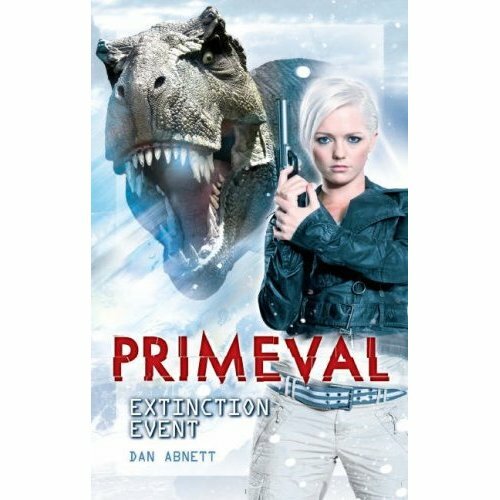 Primeval! I was watching it for a while on BBC America, but I got bored. I liked the premise, but it's lacking something for me. Thanks for your comments, Teddyree and Jenny. Oh I DO LOVE Dr. Who and Torchwood! Sounds very British- and very intriguing!